My journey with aviation started quite early. When I was 16 years old, I studied as an apprentice to become an ‘Aircraft Engineer’, as that had always been my passion when I was at school. I went on to work for Air France for 2 years and then Troyes Aviation for another 2 years. It was a great experience and really began to cement the core concepts and fundamentals about aircraft that I still continue to use and mentally build on every day. At the age of 18, I began studying for my Private Pilot Licence (PPL) in the town of Creil, which is just north of Paris. It is a military based organisation and it was here that I met with the best instructor I have ever had, Bernard Borella, who I will go on to explain more about later in the article. Once completing my PPL, I was fortunate enough to gain some experience flying a Mudry CAP 10 and partaking in some aerobatic flying. It was an amazing feeling and experience! At FTA, we have some of the best instructors in the industry, with a vast range of knowledge, expertise and attention to detail. 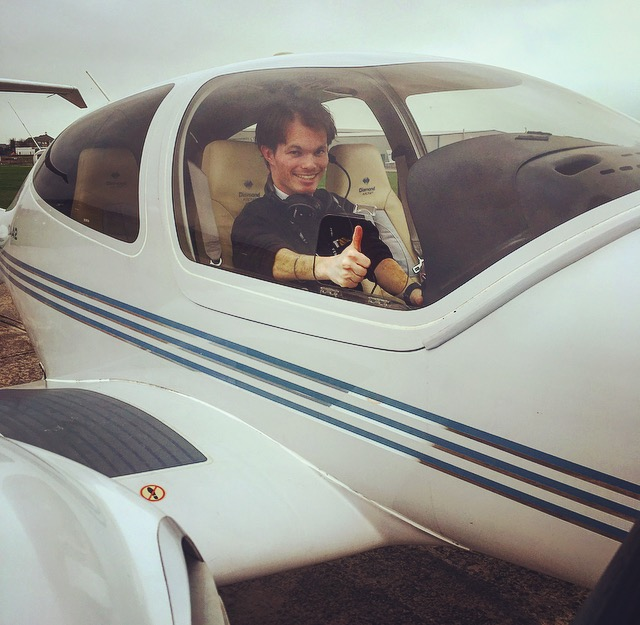 Here we spoke to one of our advanced instructors, Jerome, about his journey to becoming a pilot and just why FTA is such a unique flying school. After finishing my work as an ‘Aircraft Engineer’, I then decided that I wanted to move into Commercial Pilot Training. 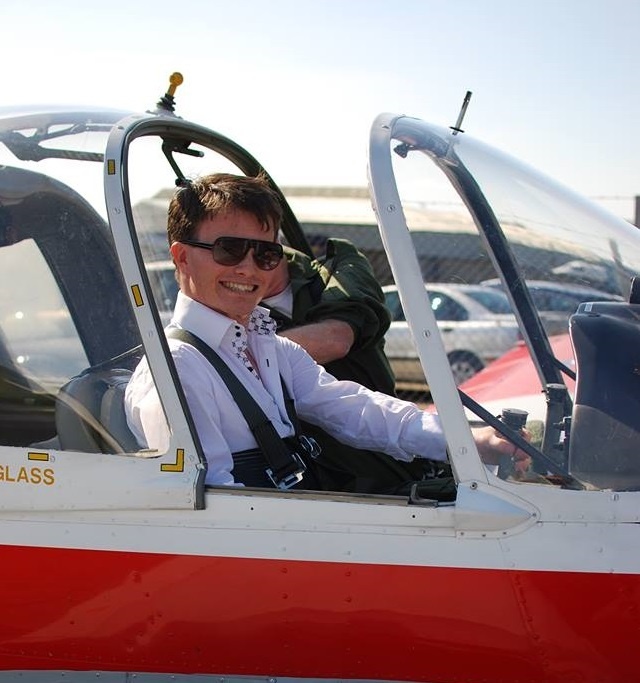 I began by studying my ATPL theory exams via distance learning, whilst also moving to Oxford to learn English. It was quite a challenge doing both at the same time I must say! Once completing my ATPLs, I decided to move further down South and begin my Commercial flight training at BCFT in Bournemouth. We also do a lot of Instrument training at Bournemouth with FTA and it is a beautiful part of the country. It was during my training that I realised the thing that I most wanted to do was to become a flight instructor – I wanted to give back to the students what my instructors gave to me. I initially worked for BCFT instructing across their various syllabuses and then moved over to FTA in December 2015. I am able to teach across all phases of FTAs training as an advanced instructor. I can do PPL, CPL, Night Rating, MEP and IR instructing. I recently became a flight examiner as well, which was an amazing achievement for me and has allowed me to diversify and enjoy even more aspects of instructing. It’s great for me to continue learning and studying! Over my flying career I have flown 18 different types of aircraft, including my own Cessna 172 based in Bournemouth that I share with my old student. WHAT WAS IT LIKE COMPLETING YOUR FIRST SOLO? I was 18 when I went solo for the first time and the feeling was something quite unbelievable! Before starting my training I had been accepted to work part time for my local flying club on a voluntary basis. Two days before I started my work there, I came across the president of the flying club, Bernard Borella and he was very confused as to why I was starting work there. He was asking how it was possible, as he had not been made aware of the arrangement. I remember feeling white with fear, as the president then decided to question me for a few hours about the knowledge that I had of the aviation industry. He could tell after our meeting that I was a very knowledgeable guy and he made a deal with me that if I was able to go solo in 14 days, he would train me as his own student. Each flight going forwards was very intense for me. This instructor was a military trained colonel with 4,000 instructing hours on a Dassault Mirage 2000 fighter jet, so I knew he was going to have high expectations! I made a very good impression from the start, as I remember him telling me that he felt confident that he would be able to send me solo after just two flights!! But it was far too early for me really. After 9 days and 5 and a half hours of flying, Bernard was ready to send me solo. On my solo I remember feeling that the Robin aircraft I was flying at the time had better performance on take-off, due to there being only one of us in the cockpit. I also remember feeling like I didn’t know what I was doing to begin with, due to the low amount of hours I had, but it was a great moment. It is something that I never have and will never forget for the rest of my life. WHAT WAS IT LIKE BEING A FLIGHT INSTRUCTOR FOR THE FIRST TIME? It was quite challenging at first. English is not my native language, so for me having to think, listen and teach in English all at the same time was difficult. However, I really like challenges, as it pushes me to become better in the future! I currently speak 3 languages, including Russian and to be honest now I’ve been an instructor for a while, I feel like I speak English better than my French! The ability to speak other languages as a pilot is definitely an asset, as it opens a lot of doors. Being a flight instructor is a really rewarding job. I very much enjoy learning how to adapt to my students and my responsibility to teach them as well. I have nearly a few thousand hours now, so as you can imagine I have flown with a lot of students!! Nearly every one of my former students have gone on to work for airlines now and for me it is so rewarding when I can recognise my students voice’s over the radios, like recently as I transited through Southampton’s airspace on an Instrument training flight. All of them have been so grateful to me and this gives me fantastic job satisfaction – I am so proud of them. Maybe one day they might end up being my Captain!! WHAT IS IT LIKE WORKING AS AN INSTRUCTOR FOR FTA? FTA is a great environment for learning. The school is friendly, but at the same time professional. We have a familial atmosphere that thrives amongst teamwork. Myself and my colleagues work quite hard together as a team and that is the thing that I enjoy the most about working for FTA. Everyone takes responsibility for the welfare of our students and their training and the company trusts us to do that and they look after us well. It is a very good opportunity to move up as an advanced instructor with FTA. Not many flight schools give help to get a proper standardisation. As an Approved Flight Training Organisation, we are constantly trying to improve in line with the airlines’ expectations. We regularly update our Standard Operating Procedures in accordance with what the airlines are looking for and this makes the transition into a job at the end for our students a lot more seamless. It is very handy as well because my former students quite often inform me of any significant change in regards to operating procedures, so we are constantly learning as a team. WHAT ADVICE WOULD YOU GIVE TO ANY TRAINEES? WHAT ARE YOUR THOUGHTS ON DOING COMMERCIAL TRAINING IN THE UK? For a start there is a big variation in the different types of weather that you experience in the UK. We deal with icing conditions, thunderstorms, haze etc. and it makes you a better pilot for experiencing and knowing how to deal with these conditions. It encourages students to be able to make decisions about the weather, like whether to go flying or not and that is great as it is getting you into the airline way of thinking. In the UK, procedures are very strict and must be adhered too, which again is another great feature as it means that our students become very disciplined from the offset. In my experience, the best pilot trainees are the ones that completed their training in the UK as they show good knowledge and experience. WHAT ARE YOUR FUTURE FLYING PLANS? I am soon moving on to a new role as a co-pilot on a well-known turboprop aircraft. I hope that if time permits, I will still be able to work at FTA in my capacity as a Flight Examiner. With all of my hours of experience and background in engineering, I still feel like I have a lot to give to students who are progressing through their training. The main thing that I want out of my working life is to continually advance throughout my career; there is never a time in my life where I foresee myself wanting to cease with training and learning!